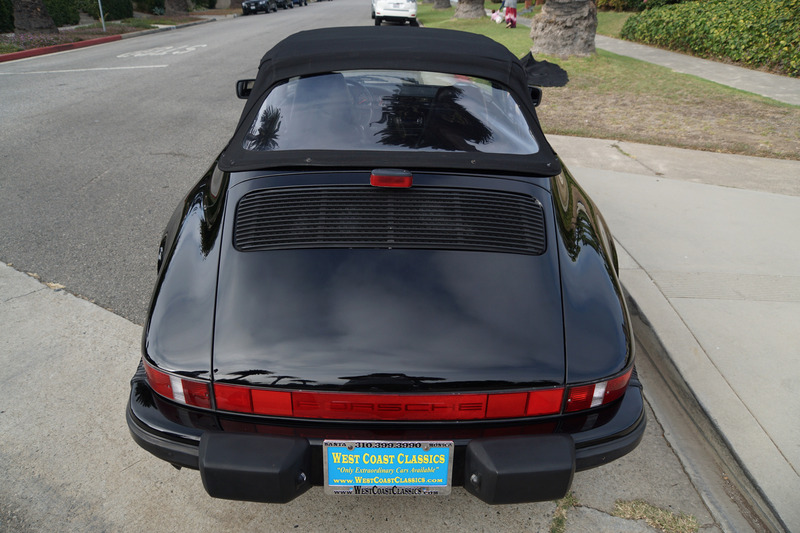 West Coast Classics are proud to present an absolutely stunning and exceptional example of this rare 1988 911 Carrera 3.2L Cabriolet with the desirable G50 (the new improved transmission for 1987 from the previous years models 915 transmission) 5 speed manual transmission which has been repainted once in it's original factory Black color paint with matching Black leather seats, a recent new factory Black German canvas power top, shorter gear shift lever, original and very desirable factory ordered option 'Porsche' Fuchs Black light forged alloy highly striking wheels, leather covered sport steering wheel with elevated hub, factory tonneau cover and full weather tonneau cover, driver & passenger comfort seats, an after market CD player, air conditioning, central locking system, automatic speed control and with a very low original 88K miles! 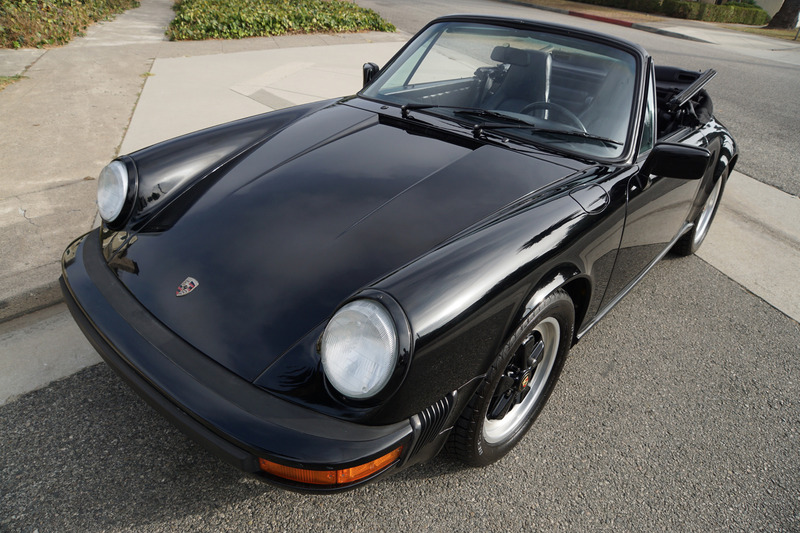 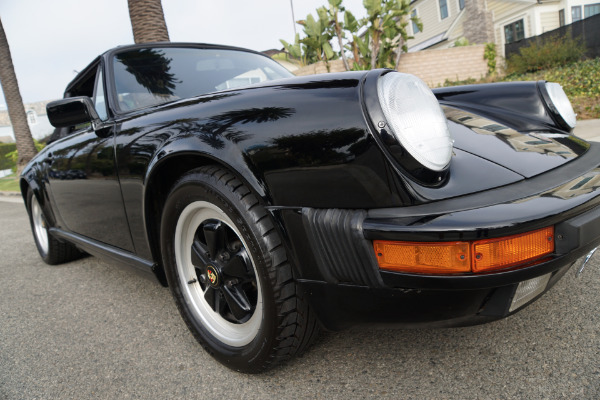 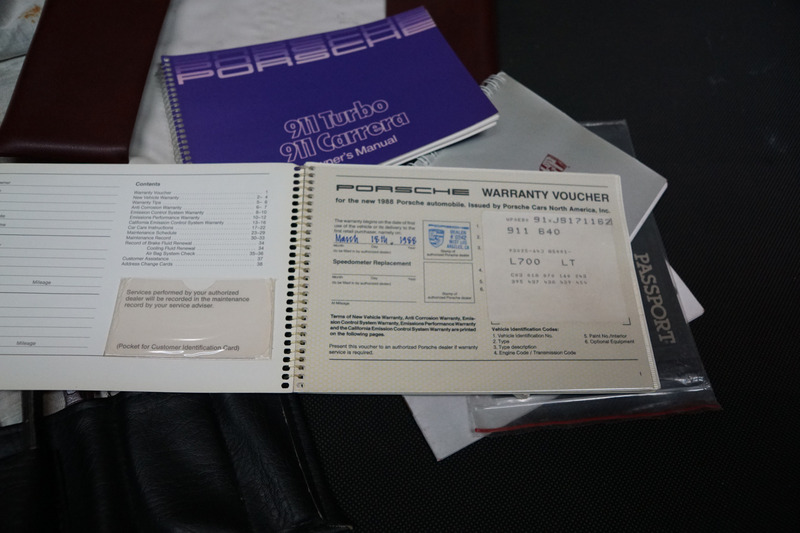 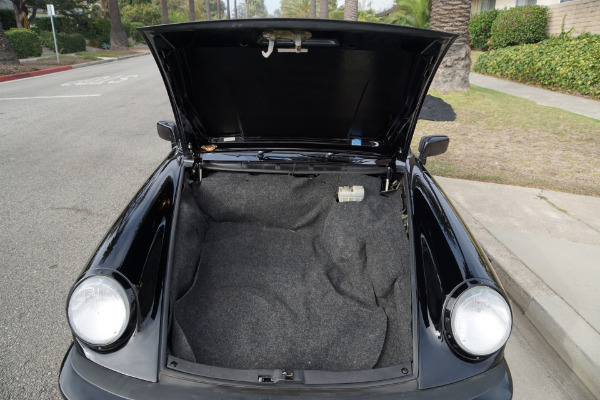 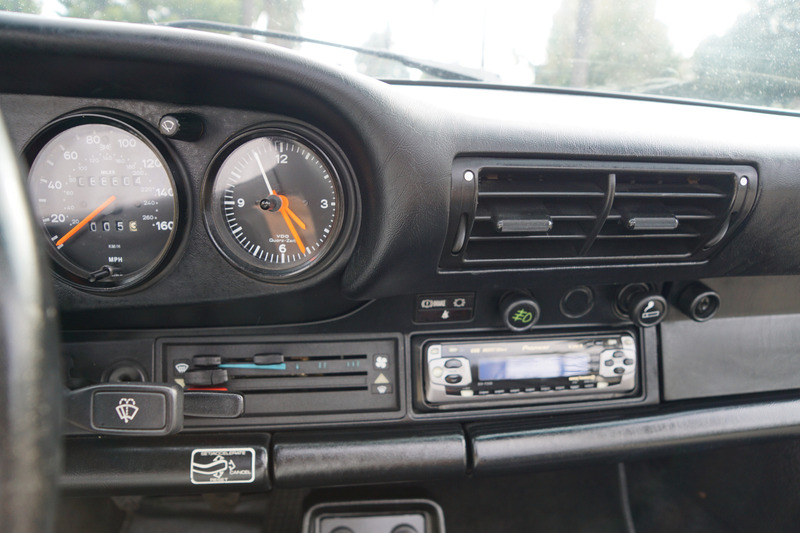 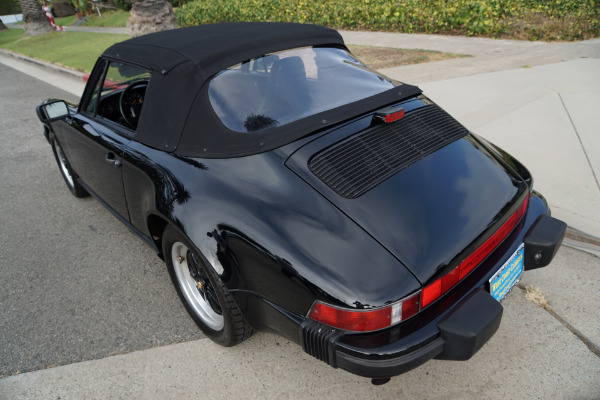 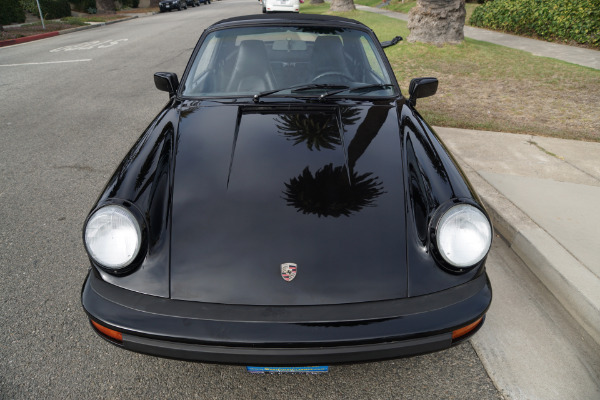 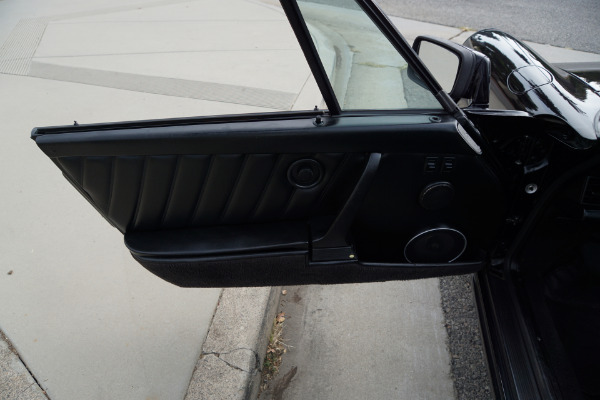 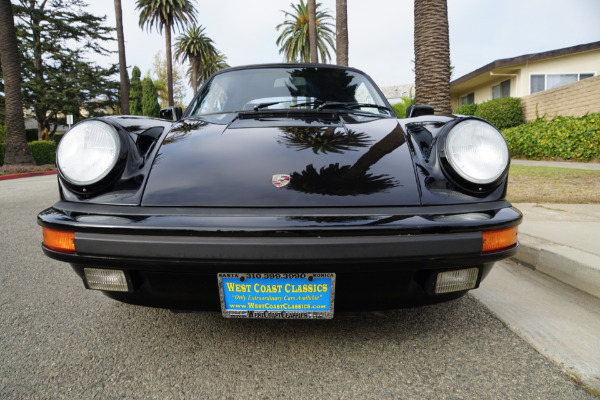 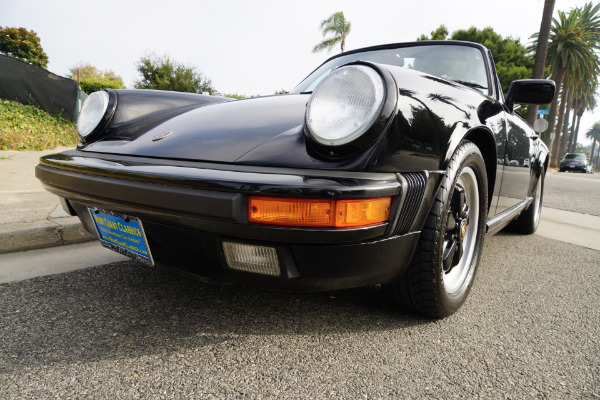 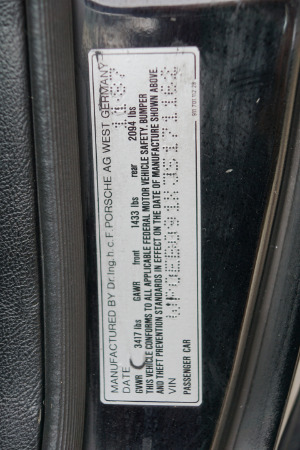 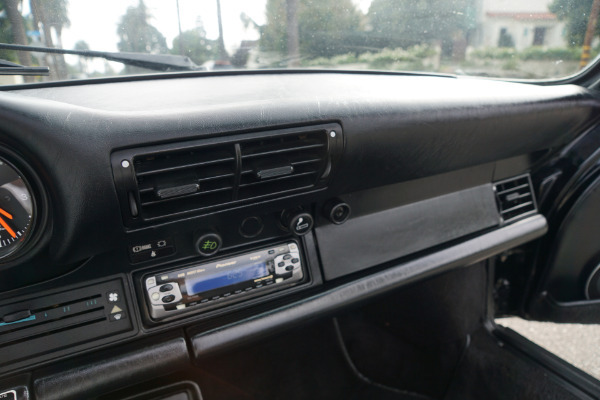 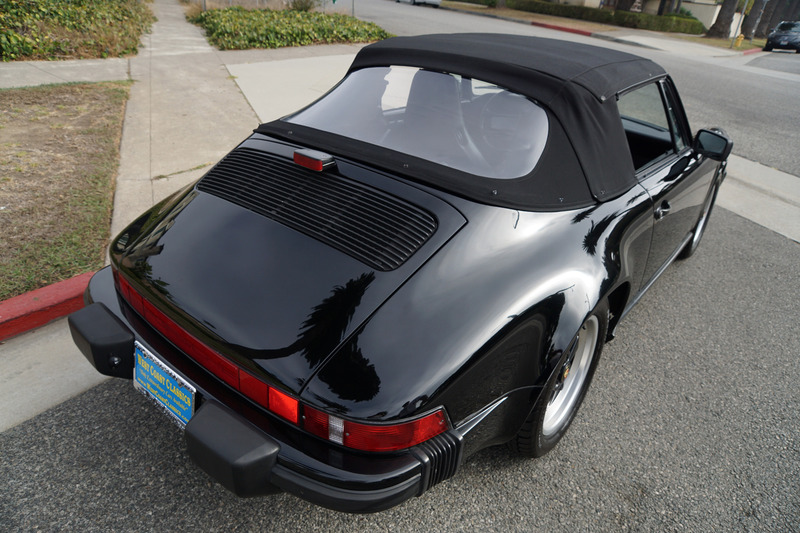 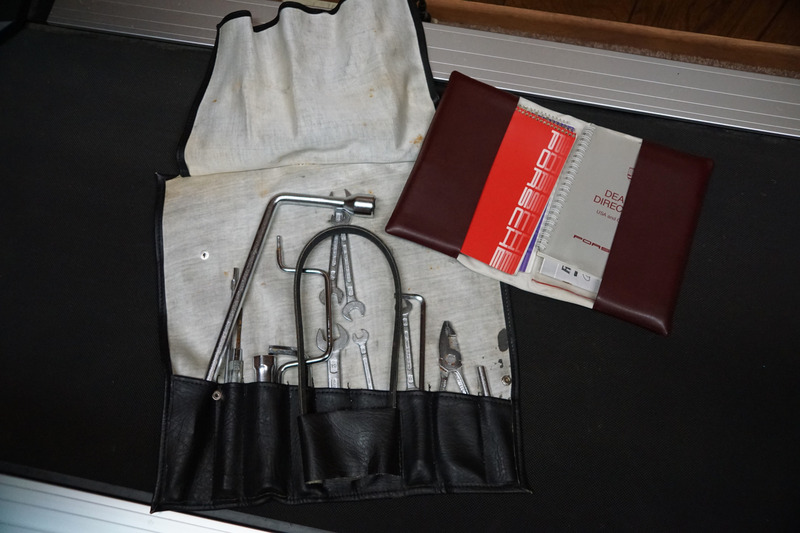 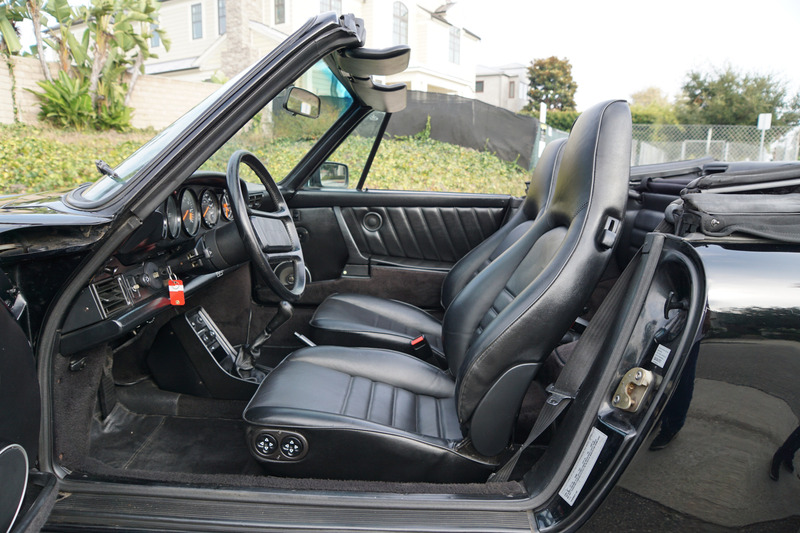 Purchased by original southern California owner on 3/18/1988 in West Los Angeles, California and originally primarily serviced at the 'Steve Taub' Porsche dealership of Santa Monica, CA and to be sold with it's original dealer handbooks, manuals, dealer stamped maintenance booklet and factory tools. 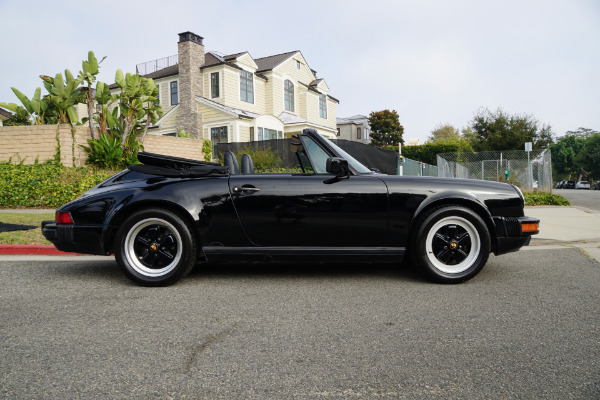 Obviously always garaged with no rust or accident history and with only 88K original miles with a clean CARFAX report as confirmation! 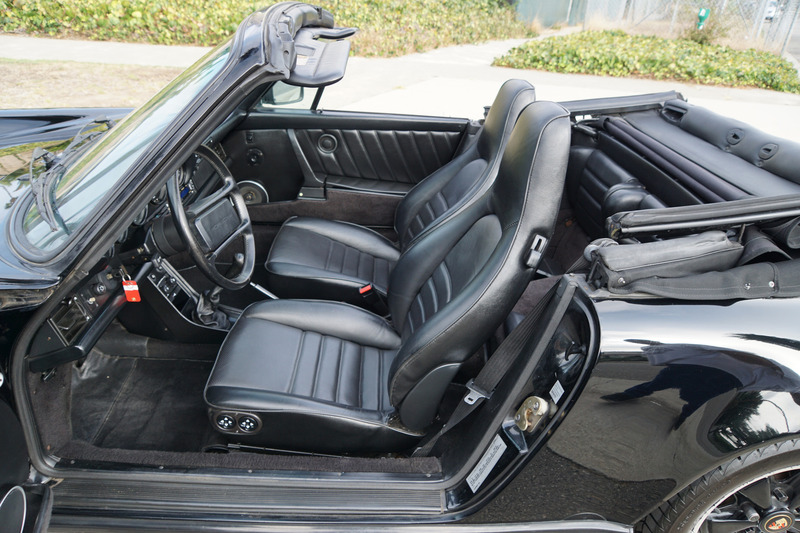 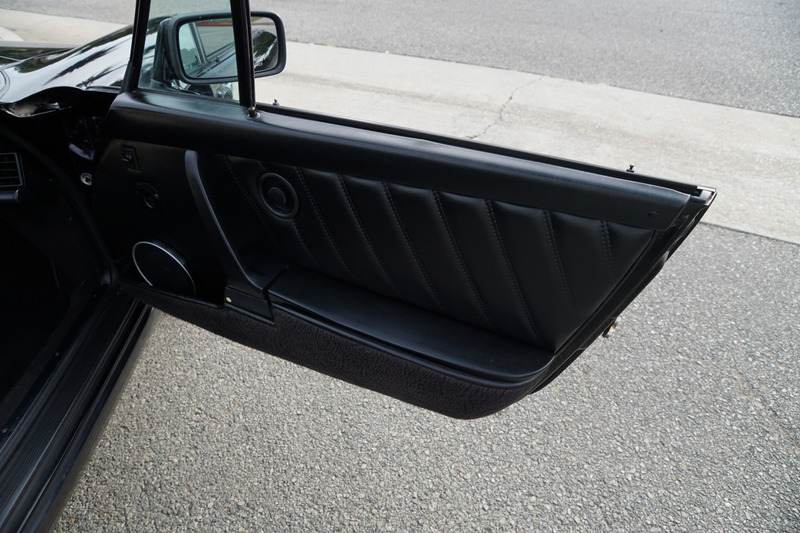 Both the car's paint and leather interior are in absolutely outstanding condition in this most beautiful striking factory 'Triple Black' color combination! 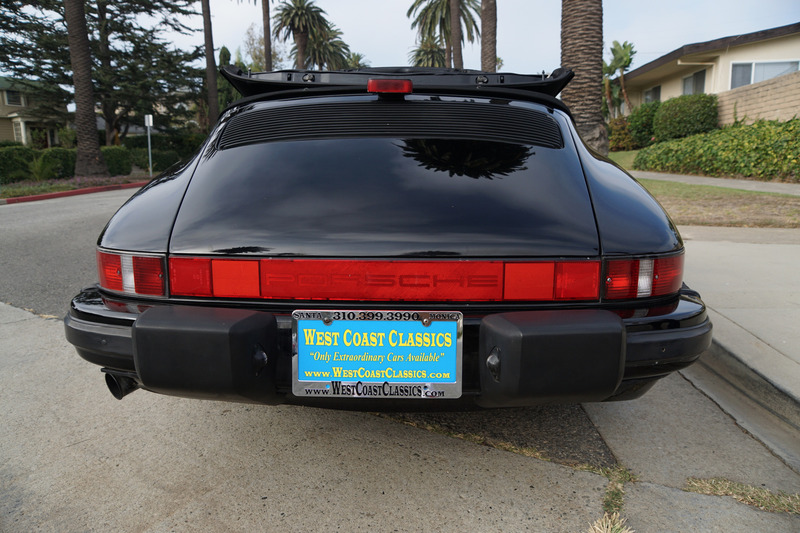 This car truly has to be seen to be fully appreciated. 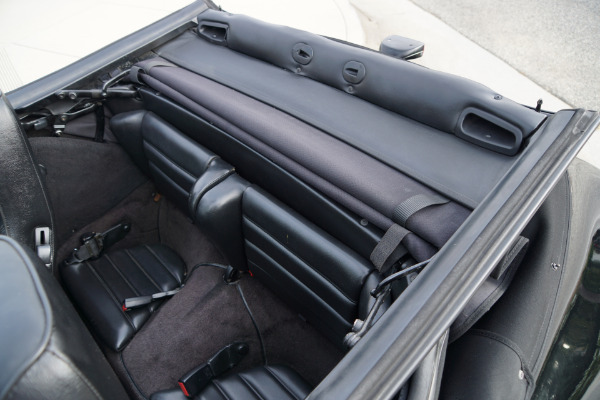 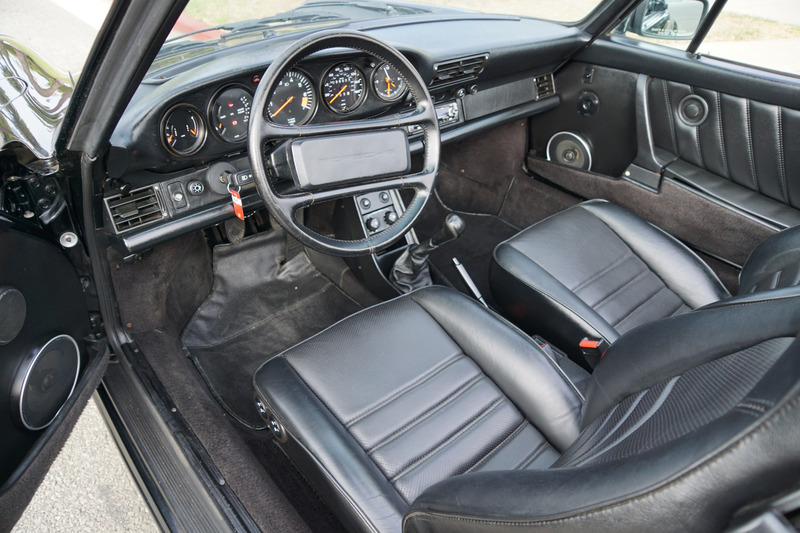 The original leather seats have not been redyed and are in quite incredible condition for their age and there are no cracks in the dashboard. 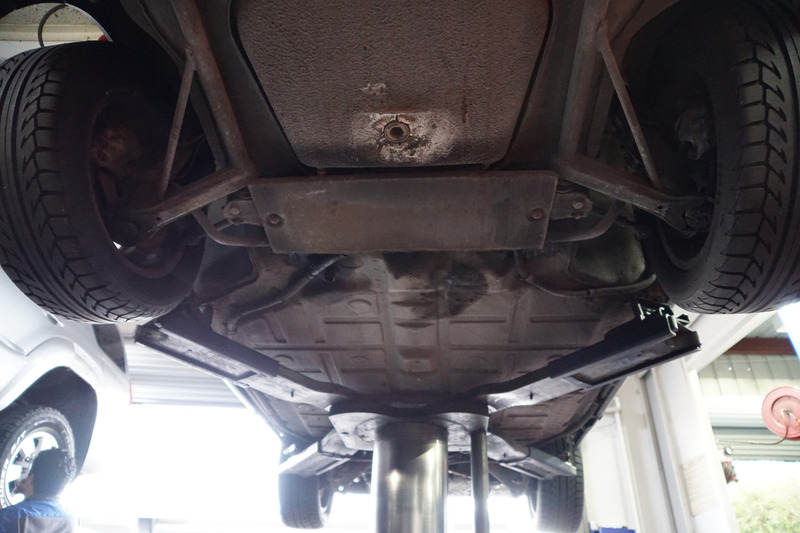 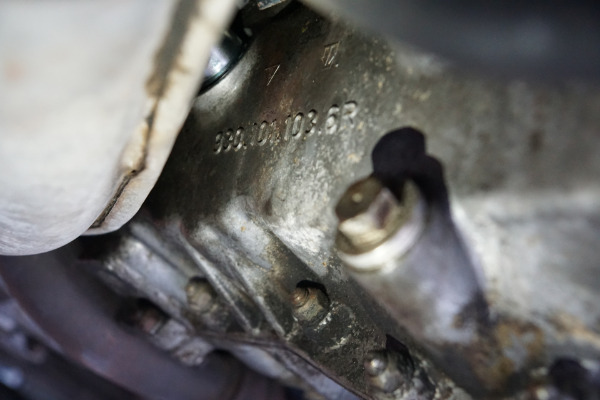 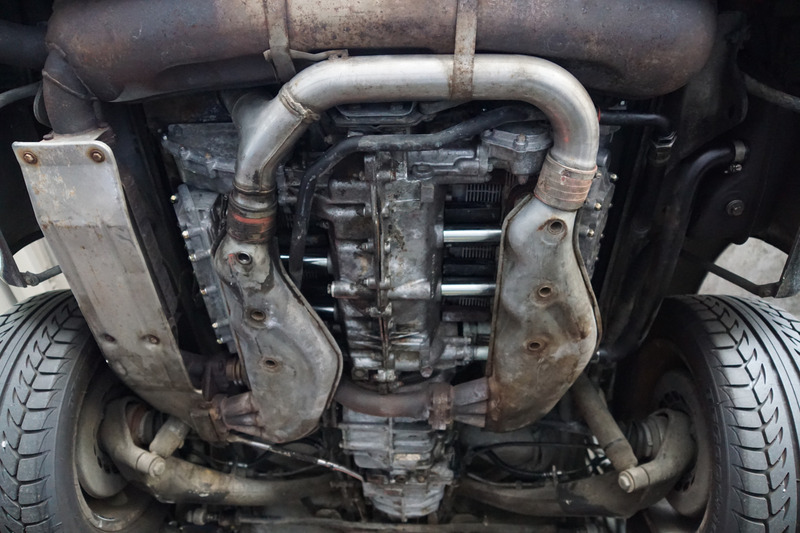 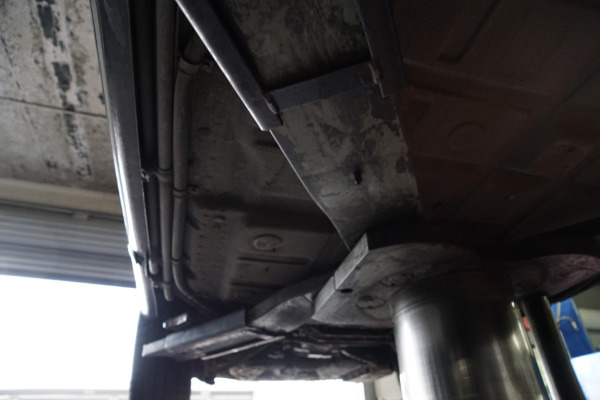 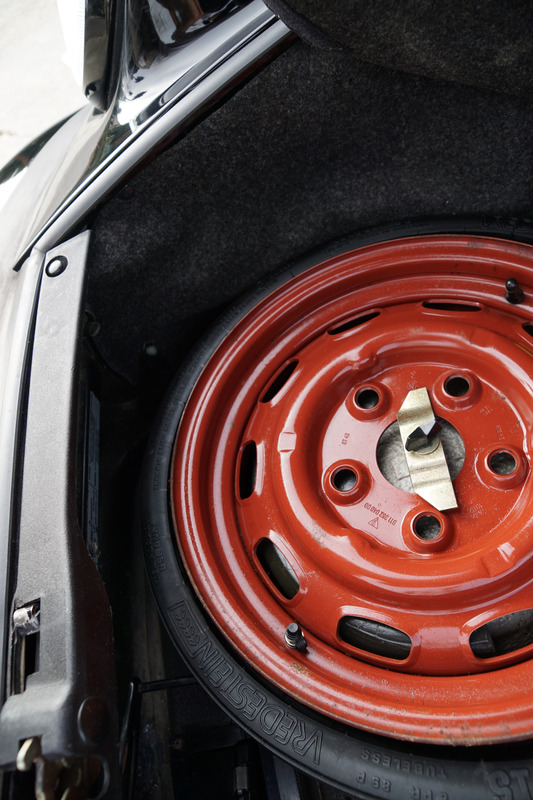 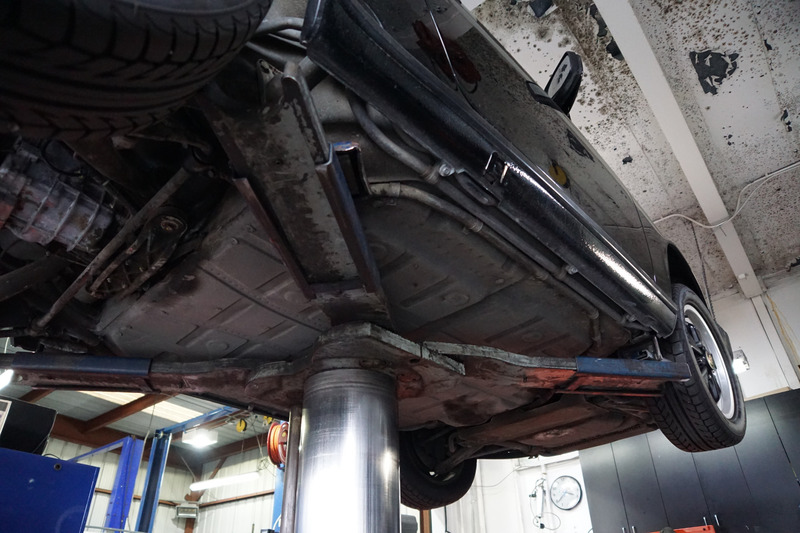 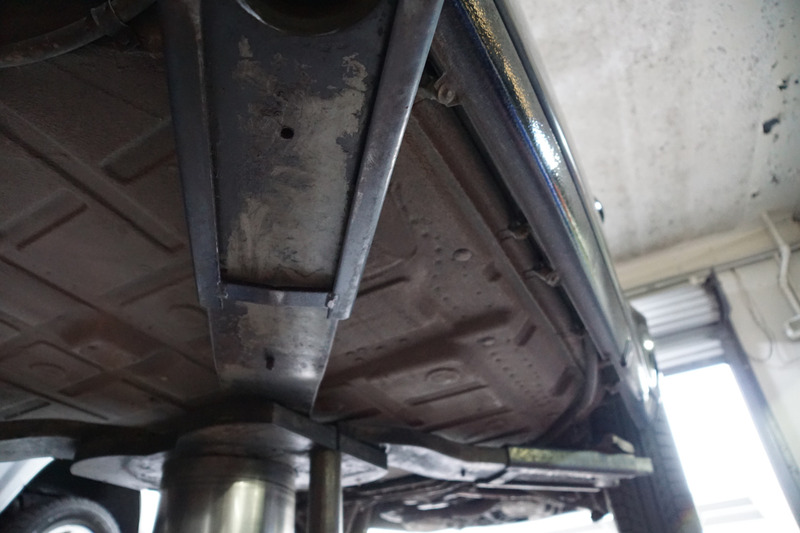 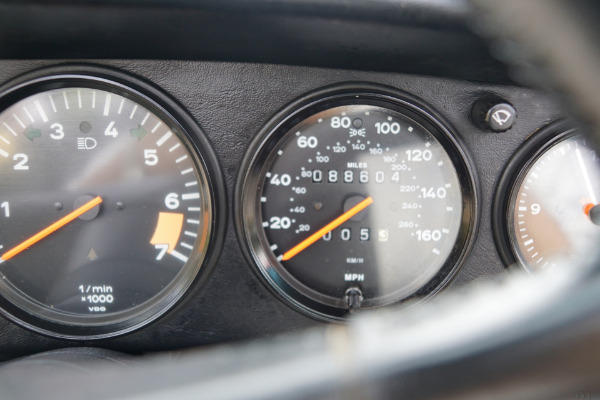 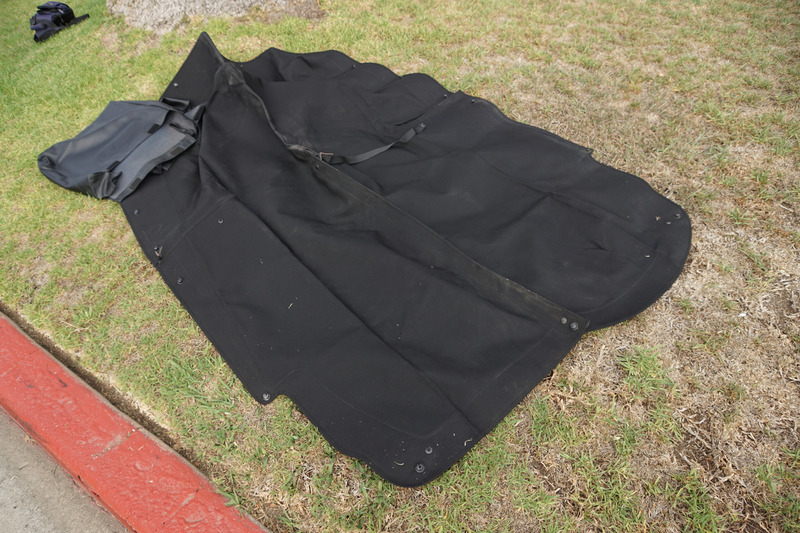 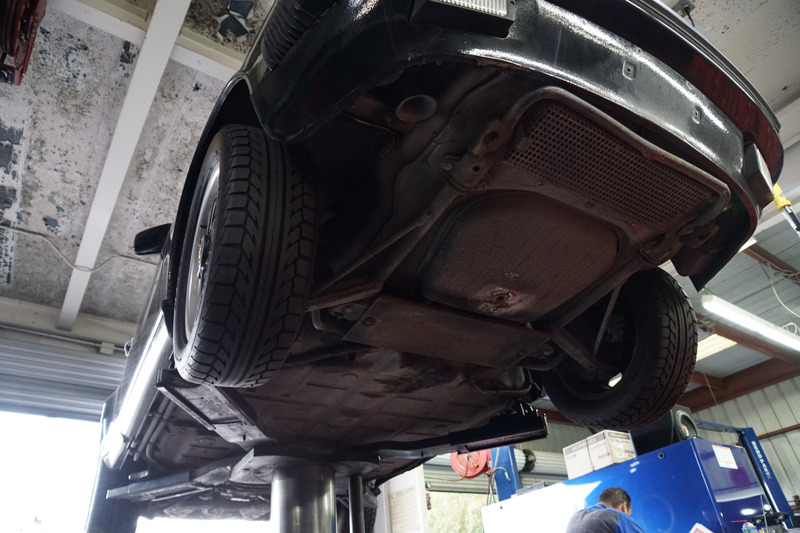 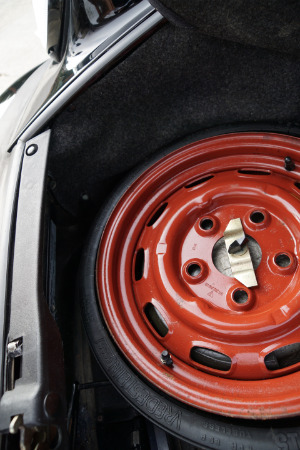 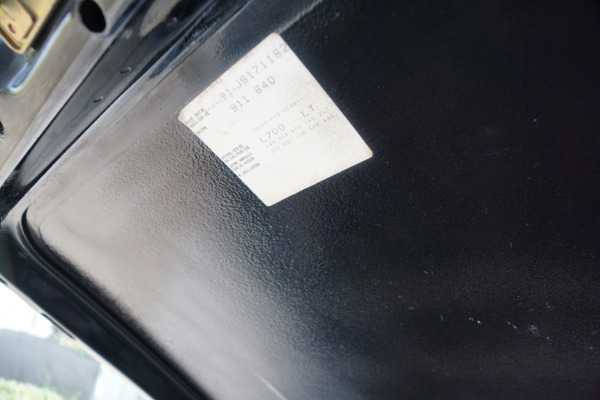 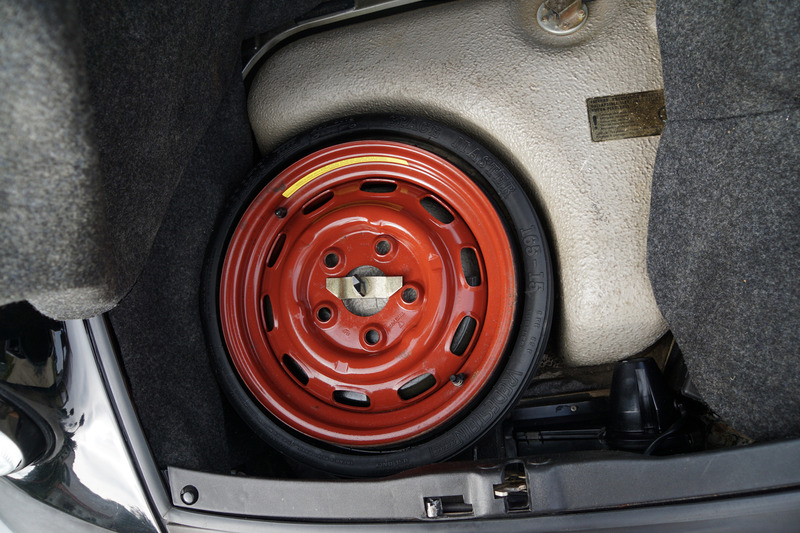 The car has it's original 3.2L 6 cylinder renown 'bullet proof' engine with only 88K original miles! 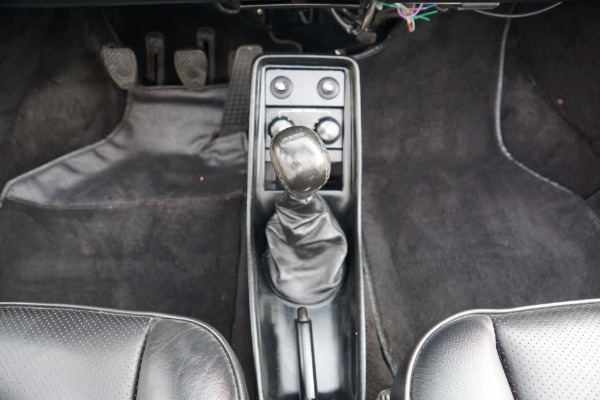 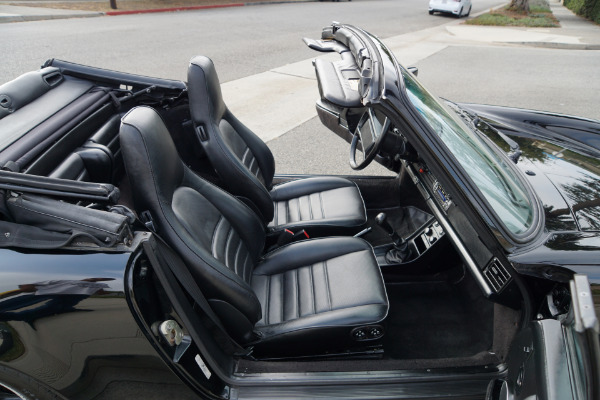 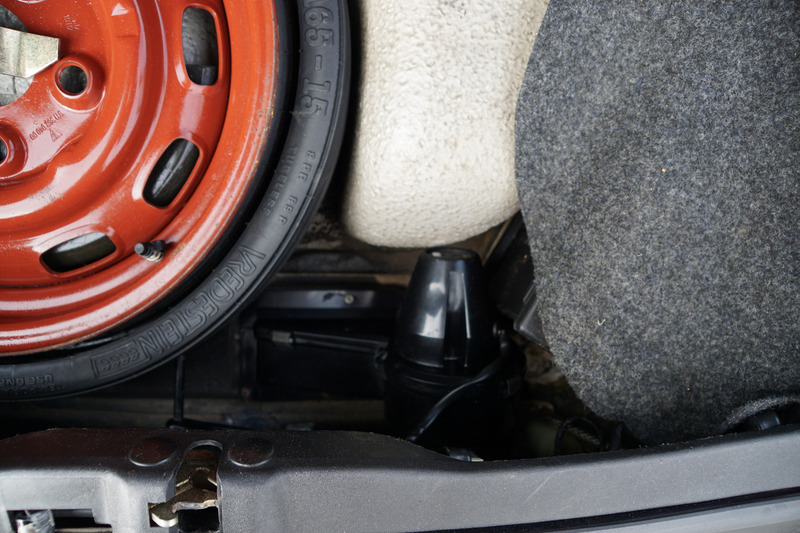 The car also obviously boasts the desirable G50 5 speed manual transmission which shifts smoothly and effortlessly through the gears with none of the typical synchro problems common in the early model years and this car has the optional factory short shifter! 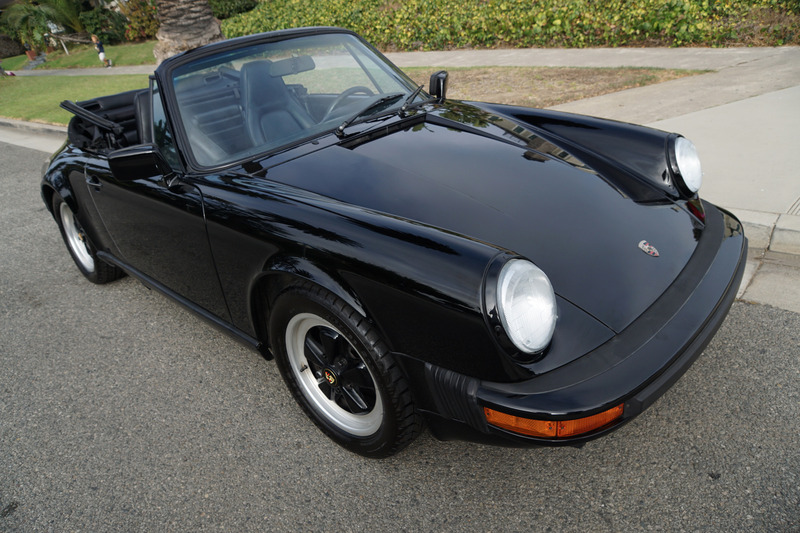 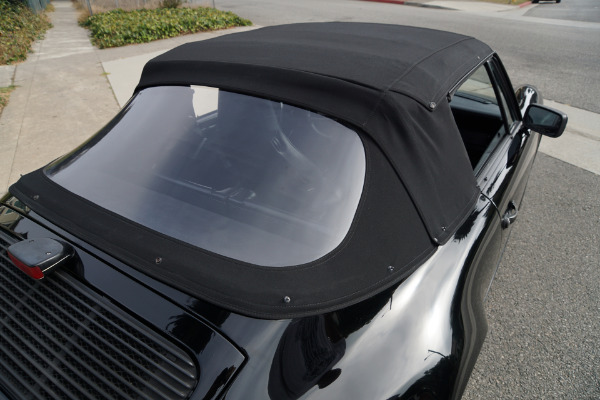 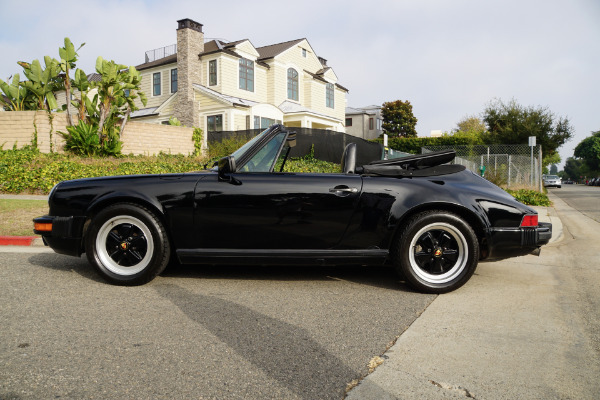 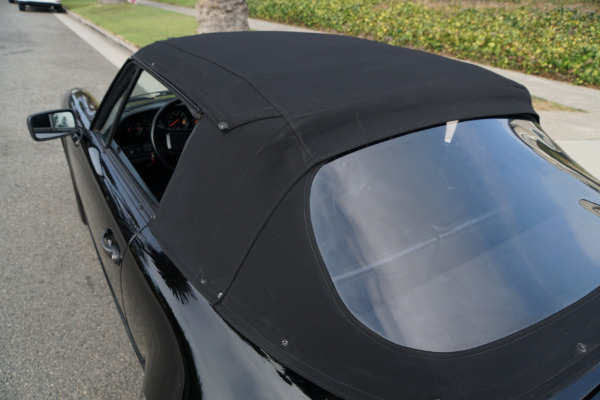 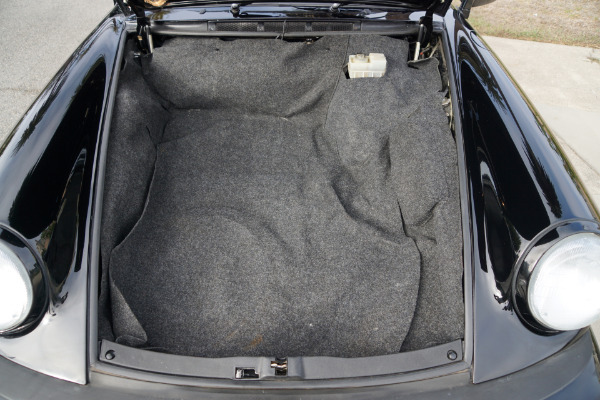 Overall an extremely fine and very rare example of this very desirable and collectible classic Porsche - the 911 Carrera 3.2L G50 Cabriolet in 'Triple Black' - increasingly hard to find in such unabused condition or in such a classic head-turning color combination! 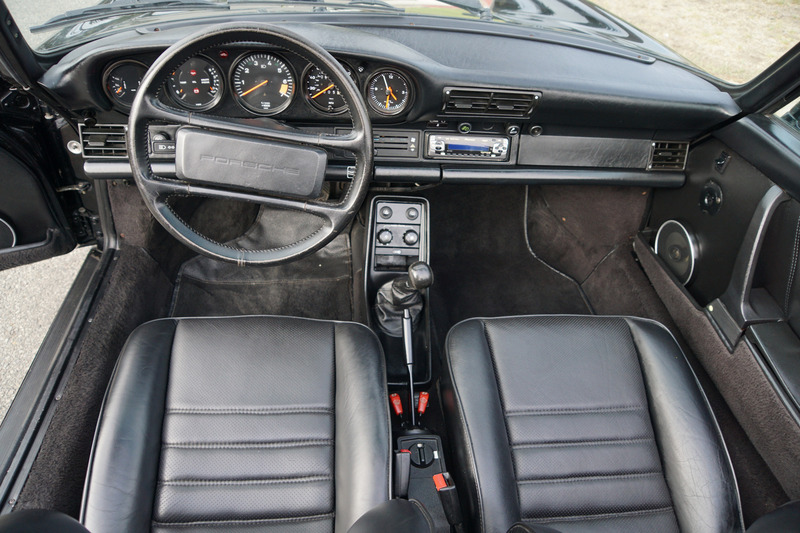 Great car for the Porsche enthusiast or simply any classic sports car collector! 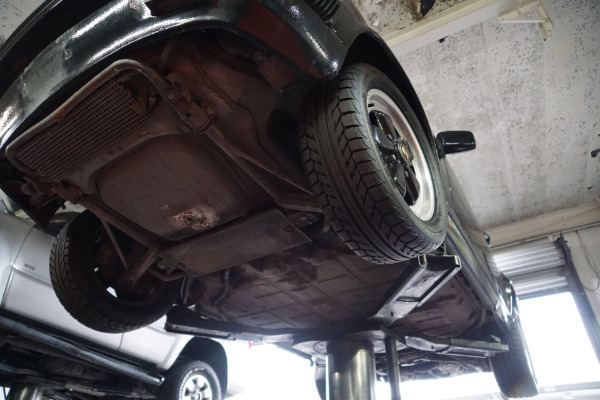 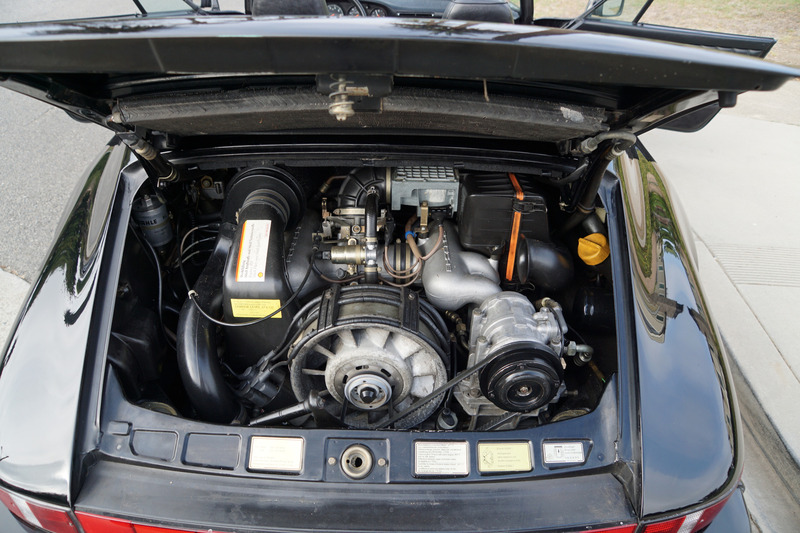 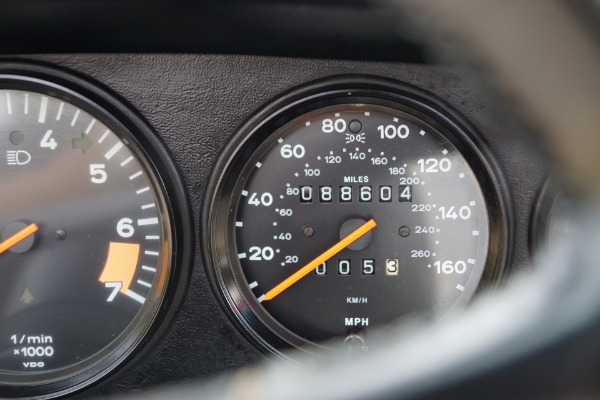 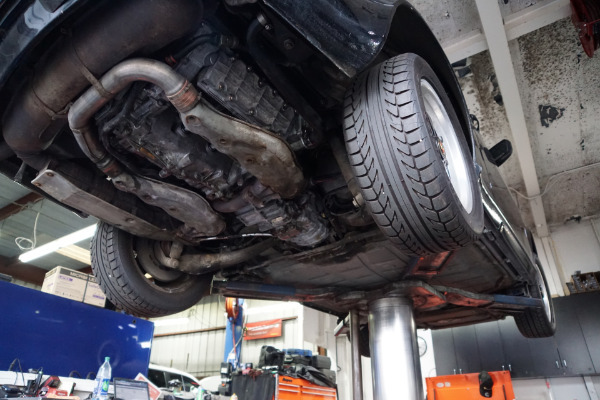 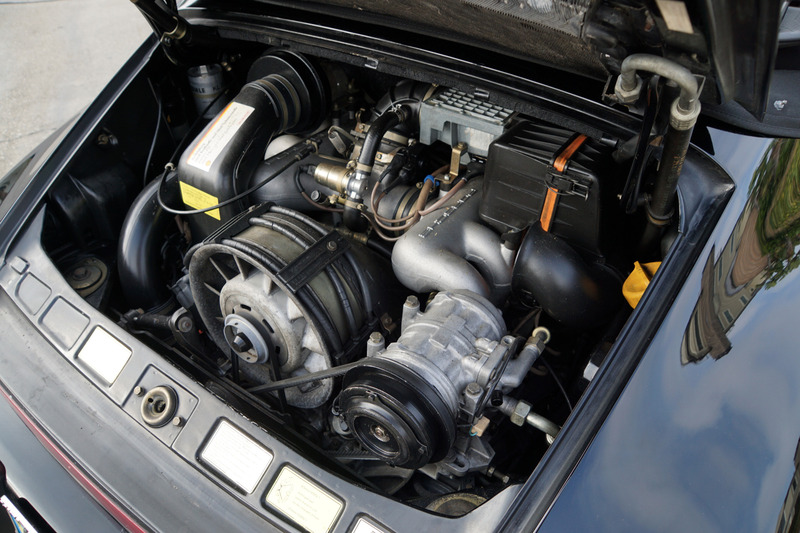 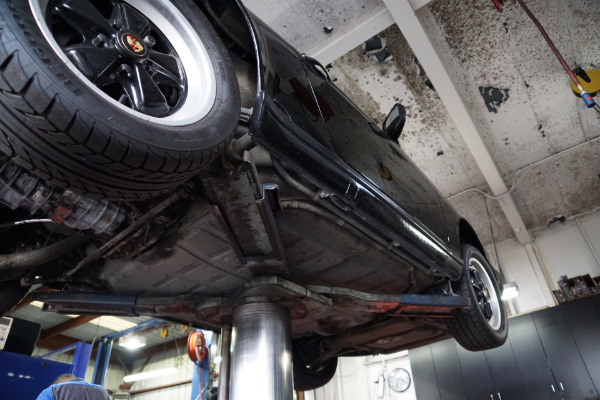 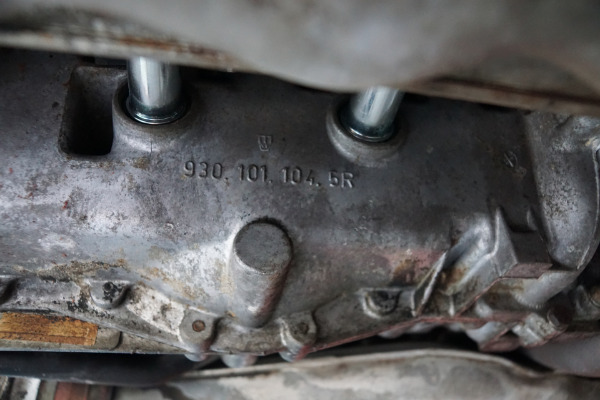 These rare models have seen prices increasing rapidly of late as this is one of the last of the highly desirable air cooled engine 911's, with the G50 5 speed manual transmission for the ultimate exhilarating Porsche driving experience!